France has recalled its ambassador in Rome after what Paris described as baseless and repeated attacks from Italy's political leaders in past months, and urged Italy to return to a more friendly stance. "France has been, for several months, the target of repeated, baseless attacks and outrageous statements," France's Foreign Ministry said in a statement. It said Italy's attacks were without precedent since World War II. 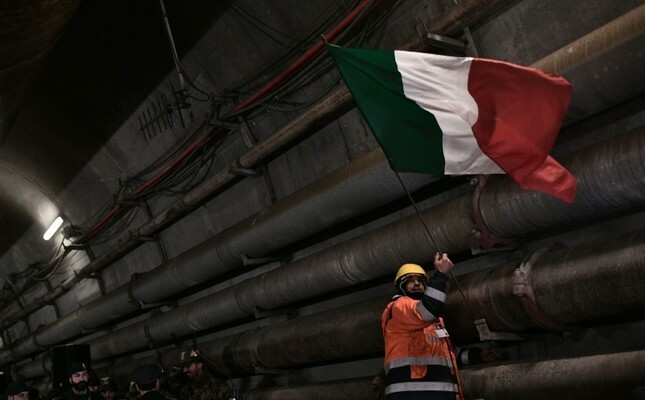 Italy's two deputy prime ministers, Matteo Salvini of the right-wing League and Luigi Di Maio of the populist, anti-establishment 5-Star movement, have goaded French President Emmanuel Macron on a host of inflammatory issues. "All of these actions are creating a serious situation which is raising questions about the Italian government's intentions towards France." On Wednesday, France's Foreign Ministry denounced as "unacceptable" a meeting between Di Maio and France's "yellow vest" anti-government protesters. "Mr Di Maio, who has governmental responsibilities, should ensure that he does not impair with its repeated interferences our bilateral relations, in the interest of both France and Italy," the spokesman said. Di Maio announced Tuesday that he had met near Paris with yellow vest leader Christophe Chalencon and candidates on a "yellow vest" list for European Parliament elections in May, led by Ingrid Levavasseur.